Home / Blog / Viva Tafisa! 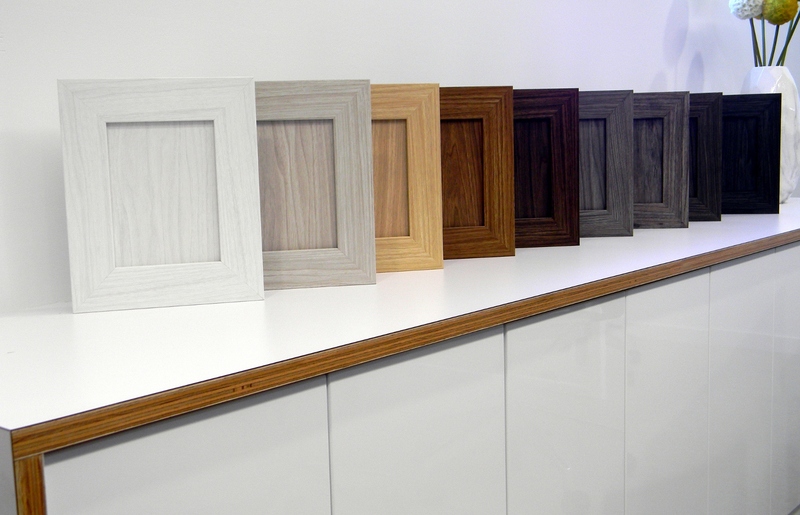 In case you missed it – Canadian board supplier, Tafisa, released ten new colors at IWF (the International Woodworking Fair) in Atlanta this year. JB Cutting will be supporting all of the new colors in our 5 Piece Craftsman Series and our 3DL Benchmark Collection of doors, drawers and accessories. Viva can be defined as “life” which is an apt description of the collection’s life-like, authentic wood appearance. It is offered in 2-sided embossed in register panels in 4’ x 8’ and 5’ x 8’. The unique texture and grain pattern are rich in character and will truly bring your designs to life! Even better, Tafisa has worked exclusively with 3DL provider Alfatherm to make a synchronized foil which brings an added dimension when you’re designing in 3DL. Winter Fun looks amazing when paired with current Tafisa colors Starry Night L762 and River Rock L538, both of which are stock colors for JB Cutting. Sunset Cruise pairs well with Sundown L768, another JBC stock color. JBC Super Matte stock color, Moonlight L761, brings out the grey undertones in Weekend Getaway, and adds depth to the woodgrain. Hold your horses! I’m sure you’re as excited as we are to begin this new program. We are waiting for materials to arrive and will keep you posted as to availability through the usual social media channels. In the meantime – what’s your favorite color?? ?